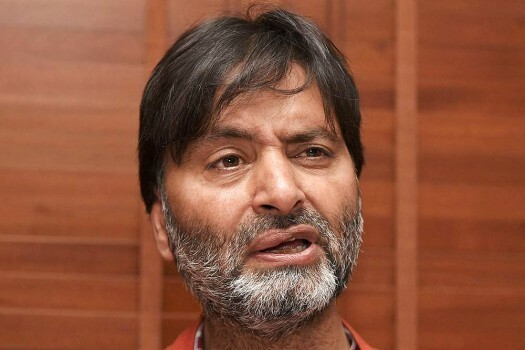 JKLF Chairman Mohammad Yasin Malik addressing a press conference in Srinagar. 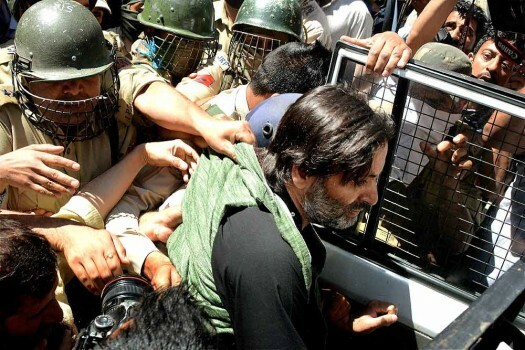 JKLF chairman, Muhammad Yasin Malik being taken away after arrested by police in Srinagar. 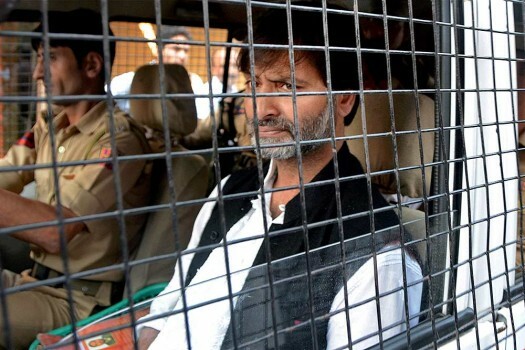 Police arrests chairman of Jammu and Kashmir Liberation Front (JKLF) Yasin Malik on the eve of Eid-ul-Azha, in Srinagar. 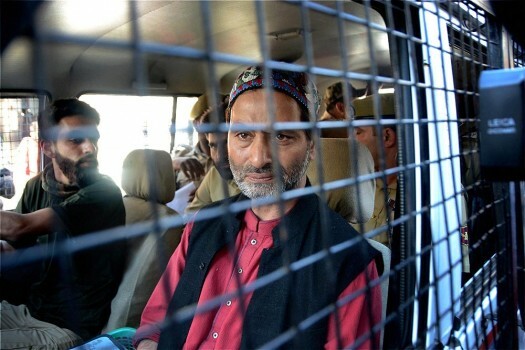 Jammu and Kashmir police detain JKLF chairman Mohammad Yasin Malik while he was going for a joint separatist meeting, in Srinagar. 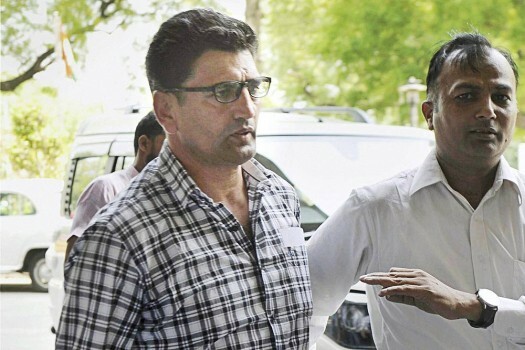 Kashmiri separatist leader Farrokh Ahmad Dar alias Bitta Karate arrives to appear before the National Investigation Agency (NIA) officials in a terror funding case, in New Delhi. Religion or ethnicity? 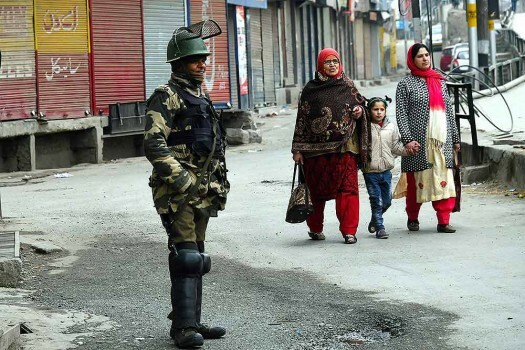 The Kashmiris’ response to Babri tells what drives their unrest. 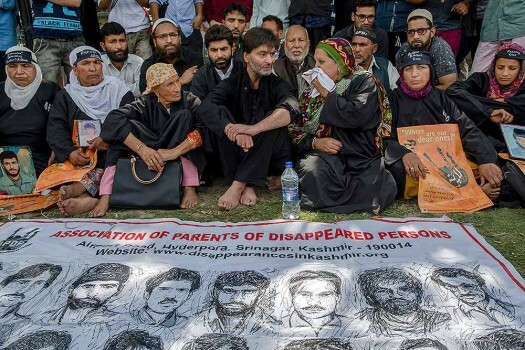 Twenty-six civil society members including former civil servants and academics have written a letter to Home Minister Rajnath Singh expressing concern over the situation in Kashmir and intensifying alienation of Kashmiris. 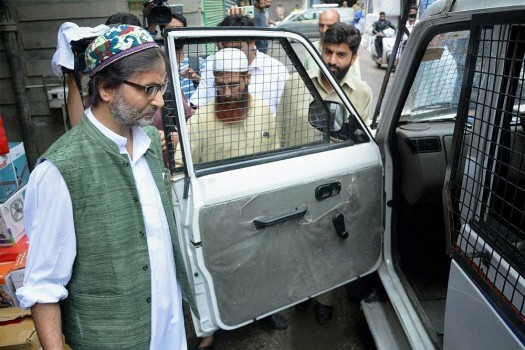 PDP president Mehbooba Mufti on Tuesday said that muscular policies will only prove counterproductive in tackling the present crises in the state and if her party comes to power, it will scrap the ban imposed by the government on JKLF and Jamaat-e-Islami. 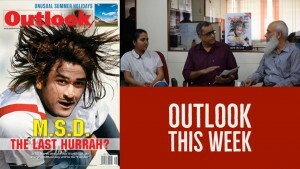 Tanvir Sadiq, political secretary to former Chief Minister Omar Abdullah, said that banning organisations and then expecting normalcy is akin to living in a fool’s paradise. 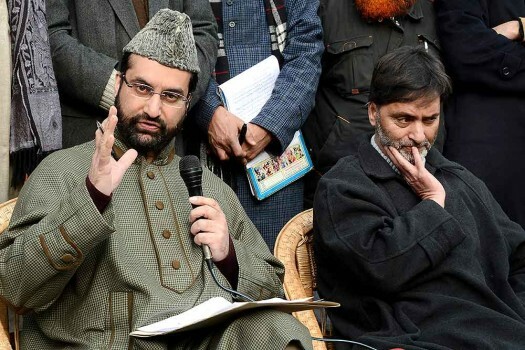 Mufti invokes 1987, Salahuddin and Yasin Malik, while warning Delhi of consequences if it tries to break PDP.